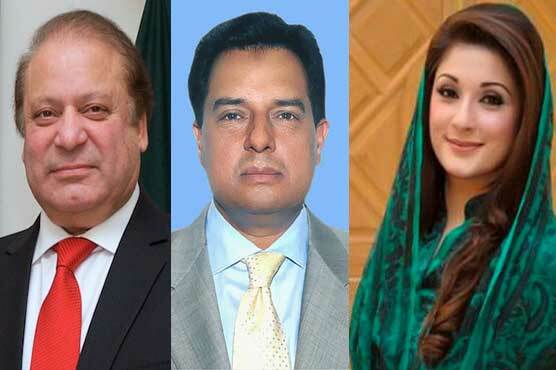 In an important development on Wednesday, NAB writes to the Interior Ministry to place the names of former Prime Minister Nawaz Sharif, Maryam Nawaz and Captain (r) Safdar on the Exit-Control List. According to details, NAB wrote a letter to the Interior Ministry in which it recommended that the names of Maryam Nawaz, Nawaz Sharif and Captain (r) Safdar to be placed on the ECL as it voiced fears that the suspects could travel outside the country. This comes in the wake of Nawaz Sharif and Maryam Nawaz’s appeal to the court to grant them immunity from appearing at hearings since Kulsoom Nawaz was ill and was about to undergo important tests in London.